Two Mexican nationals were sentenced today to two terms of life in prison for the murder of a federal officer, attempted murder of a federal officer, and related offenses in the killing of U.S. Immigration and Customs Enforcement’s Homeland Security Investigations (ICE-HSI) Special Agent Jaime Zapata and the attempted murder of ICE HSI Special Agent Victor Avila on Feb. 15, 2011, in Mexico. Acting Assistant Attorney General Kenneth A. Blanco of the Justice Department’s Criminal Division, U.S. Attorney Jessie K. Liu of the District of Columbia, Assistant Director of the FBI's Criminal Investigative Division Stephen E. Richardson and Acting Director Thomas D. Homan of ICE made the announcement. 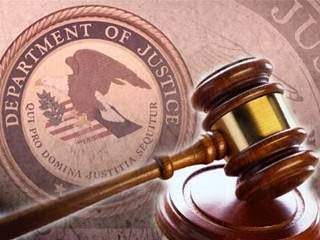 The defendants, Jose Emanuel Garcia Sota, aka Juan Manuel Maldonado Amezcua, aka “Zafado,” 36, of San Luis Potosi, Mexico, and Jesus Ivan Quezada Piña, aka “Loco,” 29, of Matamoros, Mexico, are among seven Mexican nationals who were extradited to the United States on federal charges in this case. They were found guilty by a jury on July 27, in the U.S. District Court for the District of Columbia, and sentenced by the Honorable Royce C. Lamberth. Garcia Sota and Quezada Piña were found guilty of four federal offenses: murder of an officer or employee of the United States; attempted murder of an officer or employee of the United States; attempted murder of an internationally protected person; and using, carrying and brandishing and discharging a firearm during and in relation to a crime of violence causing death. The verdicts followed a trial that began July 10, in the U.S. District Court for the District of Columbia, during which the government presented testimony from 22 witnesses, including Special Agent Avila. According to the government’s evidence at trial, Garcia Sota and Quezada Piña were members of two Los Zetas hit squads, or “estacas,” and were on a mission on the day of the shootings to steal vehicles for use in the cartel’s operations. On the afternoon of Feb. 15, 2011, Garcia Sota and Quezada Piña were among a group of cartel members who targeted an armored Chevrolet Suburban bearing diplomatic plates and driven by the special agents on a busy highway south of San Luis Potosi. Special Agent Zapata and Special Agent Avila were on official business, heading southbound to Mexico City, when the attack took place. During the ambush, the cartel members fired at and into the agents’ vehicle with handguns and semiautomatic assault weapons, including AK-47 and AR-15 type assault rifles. Special Agent Zapata, 32, was fatally shot, and Special Agent Avila, then 38, was wounded. Investigators later found approximately 90 shell casings at the scene, according to the trial evidence. Five other defendants previously pleaded guilty to federal charges in this case and are to be sentenced tomorrow. Ruben Dario Venegas Rivera, aka “Catracho,” 29; Jose Ismael Nava Villagran, aka “Cacho,” 35; Julian Zapata Espinoza, aka “Piolin,” 36; and Alfredo Gaston Mendoza Hernandez, aka “Camaron,” 34, pleaded guilty to federal murder and attempted murder charges between August 2011 and October 2016. The fifth defendant, Francisco Carbajal Flores, aka “Dalmata,” 42, pleaded guilty in January 2012 to conspiracy to conduct the affairs of an enterprise through a pattern of racketeering activity and to being an accessory after the fact to the murder and attempted murder of the ICE HSI agents. All of the defendants are Mexican nationals, with the exception of Venegas Rivera, who is from Honduras. This case was investigated by the FBI, with substantial assistance from the Bureau of Alcohol, Tobacco, Firearms and Explosives; Drug Enforcement Administration; U.S. Customs and Border Protection; U.S. Department of State’s Diplomatic Security Service; and U.S. Marshals Service. The Government of Mexico provided substantial assistance throughout the investigative and prosecution phases of the case. The case was prosecuted by Assistant U.S. Attorneys Michael C. DiLorenzo and Fernando Campoamor-Sanchez of the National Security Section of the U.S. Attorney’s Office for the District of Columbia and Trial Attorneys David Karpel and Karen Seifert of the Criminal Division’s Organized Crime and Gang Section and Narcotic and Dangerous Drug Section. Former Assistant Deputy Chief Andrea Goldbarg of the Narcotic and Dangerous Drug Section and Assistant U.S. Attorney Jocelyn Ballantine of the U.S. Attorney’s Office also served as members of the prosecution team at earlier stages of the litigation. The Criminal Division’s Office of International Affairs has provided substantial assistance. Assistance also was provided by Victim/Witness Advocate Yvonne Bryant, Victim/Witness Services Coordinator Tonya Jones, Paralegal Specialist Mac Caille Petursson, and Intern Jake Yelin of the U.S. Attorney’s Office and Paralegal Specialist Alejandra Arias of the Narcotic and Dangerous Drug Section.